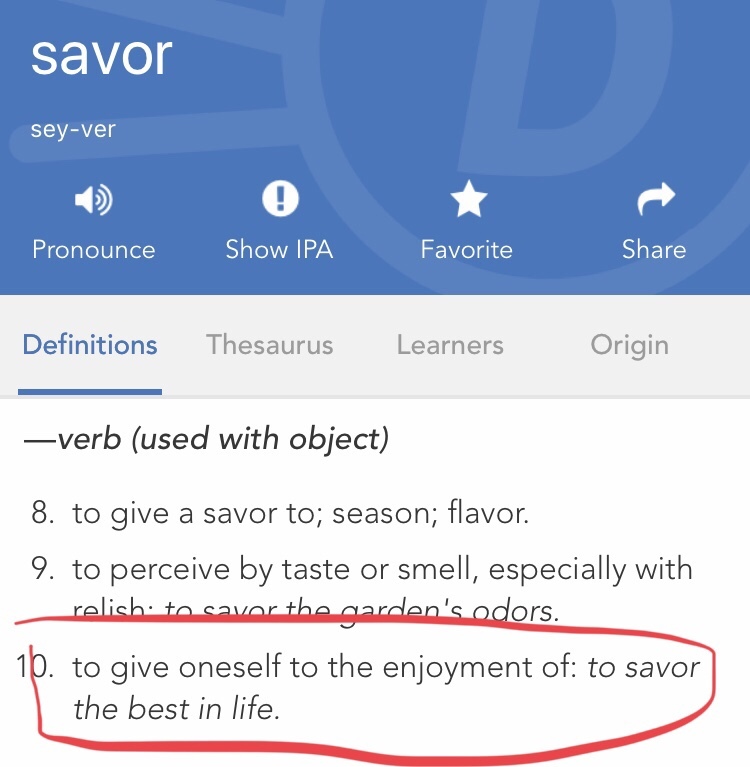 Well here it is, my word for 2019: SAVOR. I started with “presence”— I wanted to be more present in every aspect of my life. But I wanted to convey more of an elevated feeling than simply present. 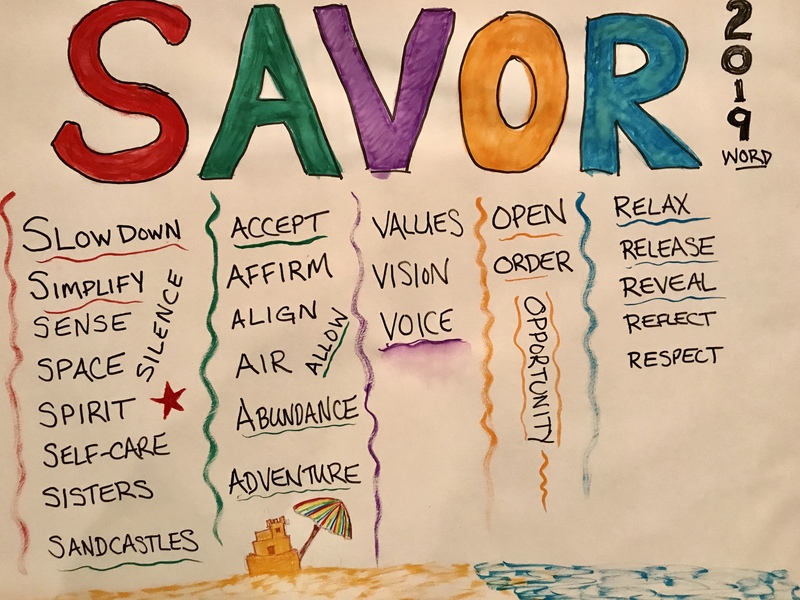 After a few years of running myself completely ragged and feeling as if I was failing miserably in multiple areas, I wanted to choose a word about slowing down and sucking out all the juiciness of life (a “dare to eat a peach” kind of thing). I want to fully appreciate every moment.